Vice-Chancellor of the University of Ilorin, Professor Sulyman Age Abdulkareem, has felicitated with the new Chairman of the Kwara State Council of the Nigeria Union of Journalists (NUJ), Umar Bayo Abdulwahab and members of the State Working Committee (SWC) of the Union. 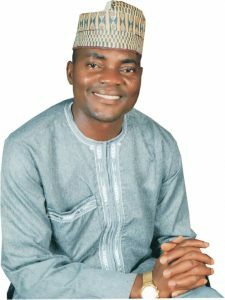 Abdulkareem described the emergence of the new Council Chairman as “well-deserved” given his antecedents of meritorious service to the union and journalism profession. This was contained in a congratulatory letter addressed to the State Council Chairman, Mallam Umar Abdulwahab and signed by the Director, Directorate of Corporate Affairs, Office of the Vice Chancellor, Kunle Akongun for and on behalf of the Vice Chancellor. 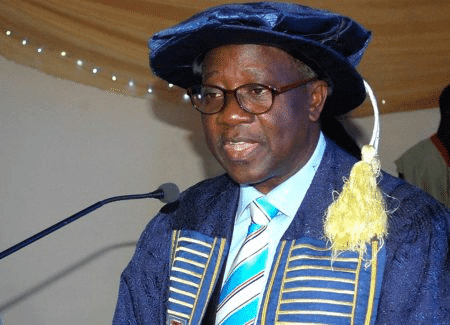 The VC said he was confident that the election of the new Excos would bring about mutually beneficial relationship between media practitioners in the state and the University of Ilorin. The letter reads: “The Vice- Chancellor of the University of Ilorin, Prof Sulyman Age Abdulkareem, hereby felicitates with you and other members of the State Working Committee (SWC) and other members the Kwara State Council of the Nigeria Union of Journalists (NUJ) on your recent elections. “Your election is well-deserved, given your antecedents of meritorious service to the union in particular and the profession of journalism in general. “I am confident that your election will bring about closer and more mutually beneficial relationship between media practitioners in the state and the University of Ilorin. “I urge you to sustain and build on the sterling achievements of your predecessors in office, an achievements that have marked the Kwara State Council of NUJ out as a unique and forward- looking group of highly- rated professionals. “Please be assured of the University’s continuous support for Journalists in the state towards ensuring a more conducive environment for the practice of their profession. “Once again, congratulations and wishing you a successful tenure”. In a related development, the National Association of League of Veteran Journalists (NALVEJ), Kwara state Chapter and Ridwanullahi Islamic Society of Nigeria (RISEN), have congratulated the new NUJ Chairman and members of the recently inaugurated State Working Committee of the Union. State Chairman of NALVEJ, Reverend Samuel Akindele who lead other members of the league on a courtesy call on the chairman at the NUJ Press centre, urged him to always consult widely before taking decisions in order to achieve positive results. Similarly, RISEN in its letter signed by Secretary, Board of Trustees (BOT), Mallam Abdulganiyu Kola on behalf of the BOT Chairman, Justice S.O Muhammed, grand patron Alhaji Yusuf Muhammad Nuhu and founder, Alhaji Abdulrahman Odore, prayed for a successful tenure of the new SWC.